It was a spiritual event keenly watched for any political undertones. However, the 4-day Global Buddhist Congregation concluded in New Delhi on 30 November without turning political – despite the presence of Dalai Lama, who China accuses of masterminding “anti-China activities”. Delegates at the congregation unanimously passed a resolution to form a new world Buddhist body, the International Buddhist Confederation (IBC), which will act as an umbrella organisation for Buddhist organisations working in different parts of the world. The resolution states that IBC will help coordinate their efforts — without impinging on the identity of the member organisations — and develop a collective Buddhist response to issues faced by the modern world. The congregation, which was attended by 900 delegates from 46 countries, was organized by the Asoka Mission. Speaking on the occasion, Tibetan spiritual leader Dalai Lama said the different tenets of Buddhism can learn from each other and they must come together to exchange their knowledge and wisdom. He added that world peace cannot be brought about by international bodies like the UN. Peace has to come from within oneself; if there is peace within, there will be peace in the society and hence peace in the world, he said. Indeed, there was a political fallout from the event – but that happened even before the event started. The Special Representative-level border talks between India and China were called off after India refused to pay heed to Chinese demand that the entire event be cancelled. 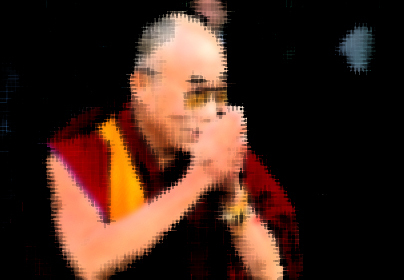 China’s consternation is understandable because it doesn’t want to be anywhere near Dalai Lama. More so, because the event organizers had announced that both the Indian Prime Minister and President would attend the meet. Even though India refused to entertain China’s opposition to Dalai Lama’s participating in the event, which the Indian government claims was a private event organized by a religious body, the Prime Minister and the President chose to skip the meet. This was a wise decision because otherwise it would have given credence to China’s allegation that it was a political event aimed at denting China’s interests. There is another background to China’s indifference towards India. In the recently-concluded Asean summit in Bali, India ganged up with the US and many other countries to question and isolate China on its claims over South China Sea. According to reports, Chinese premier Wen Jiabao was taken aback by this unflattering incident for which it was not prepared to respond. Indian PM Manmohan Singh reportedly told Jiabao that India’s oil exploration pact with Vietnam on South China Sea was purely a commercial activity.